Carey Shockey represents unions, employee benefit funds, and individual employees. Carey represents clients in state and federal court, as well as in a variety of administrative proceedings. He specializes in working closely with fund administrators in the collection of delinquent benefit contributions. He has also worked extensively in the firm’s wage and hour practice to enforce the Mass. Wage Act and the Fair Labor Standards Act. His individual employment practice centers on representing workers who have been unfairly terminated. Carey is a member of the National Lawyers Guild. Prior to becoming an associate attorney in 2018, Carey worked at Segal Roitman as a law clerk and Peggy Browning Fellow –a prestigious program supporting law students interested in advancing workers’ rights. Carey previously interned for the Hon. William G. Young of the U.S. District Court for the District of Massachusetts. 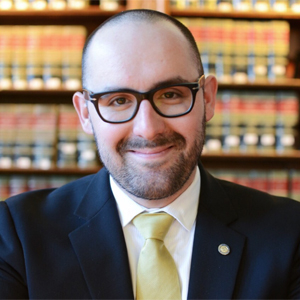 While at Suffolk Law School, he was awarded the Robert Fuchs Award in Labor Law and a Jurisprudence Award for his labor law coursework. He previously volunteered for “Fight for $15,” a national campaign focused on raising the minimum wage. Carey hails from the North Shore and a union family. He is a U.S. Coast Guard veteran and serves as a board member of the Sgt. Jordan M. Shay Memorial Foundation. He takes pleasure in weightlifting, amateur wrenching, and his medium brown dog. University of Massachusetts, Boston, B.A.